You will find the answer in this excerpt from Christine Denniston's essay on the history of partner dancing. Although it seems now to be the only possible hold for couple dancing, Tango is only the third dance in history done with the man and woman facing each other, with the man holding the woman's right hand in his left, and with his right arm around her. The first dance done in this hold was the Viennese Waltz, which was a craze across Europe in the 1830s. Couple dancing before the Viennese Waltz was formal, with couples performing choreographed steps, and generally with no more physical contact than holding hands - if that (although some Renaissance dances like la volta could involve surprising levels of intimacy). 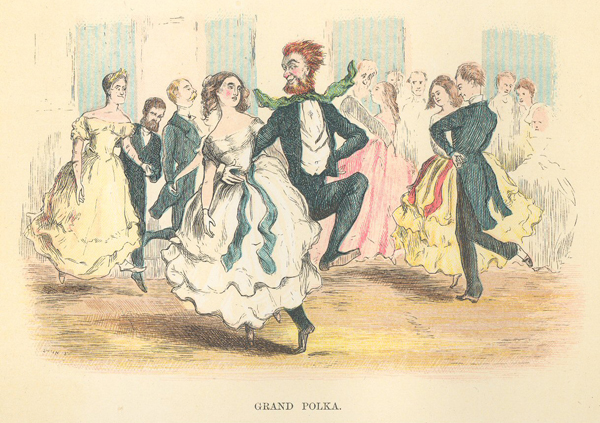 The second couple dance to use this hold was the Polka, which became the fashion in the 1840s. The third dance, Tango, was radically different from anything that came before it because it introduced the concept of improvisation for the first time, and was a huge influence on all couple dancing in the Twentieth Century. To conclude, what makes tango unique as a dance form is its embrace and use of improvisation. I would also add as another essential element - the music used for the dance. It may be a truism but Argentine Tango is the only dance that is actually danced to Argentine Tango music. That in itself makes the dance unique. Granted, tango can be danced to non-tango music, but as explained in The Music that was Made for Tango, Argentine tango music was specifically designed for dancing tango. The music's complex layers of melody and rhythm, are ideally suited to improvising in a lead-follow relationship. The music is another essential and unique element of tango dancing. Why is tango so popular?